Imagine you are Frederic Church. You come from a rather well off Hartford, Connecticut family who is able to indulge your interest in art by sending you, at age 18 (in the 19th century), to study with the great painter, Thomas Cole in Catskill, NY. You become enamoured with the mountains, the river (the mighty Hudson) and the light. After your career as an artist has become established you buy a farm in Hudson, NY, get married and start a family. Eventually you purchase the hilltop above your farm, and build a castle-like home - at the direction of the English architect, Calvert Vaux (one of the architects of NYC's Central Park) - that is an homage to your extensive travels in the Middle-East. Your wife, Isabel, names the eclectic pile, Olana - the Latin name for the Persian, place. The view from Olana is extraordinary. On a clear day, from the bell tower, you can see four states; New York, Massachusetts, Vermont, and Church's homestate, Connecticut. Olana is all about the view. It inspired countless Church paintings. The inside of Olana is a paen to Church's collecting habit and his love affair with color and pattern. Even his kitchen pantry constantly changed with displays of the offerings from his gardens. Still does. You too can experience a taste of what Church knew and loved by attending OLANAFEST on Sunday, October 7th. Beginning at 5:30, 10 of the most renowned chefs (pictured above, Laura Pensiero, chef/owner Gigi Trattoria and Gigi Market, Rhinebeck and Red Hook) of this part of the Hudson Valley will be offering samples of their wares with food inspired by a Church painting of their choice. Come, breathe in the view. Imagine what Church saw the first time he climbed up that hill and looked out across the river and saw the spot where he first came to know the area, the home of his mentor, Thomas Cole. I hope that your breath is not stolen. 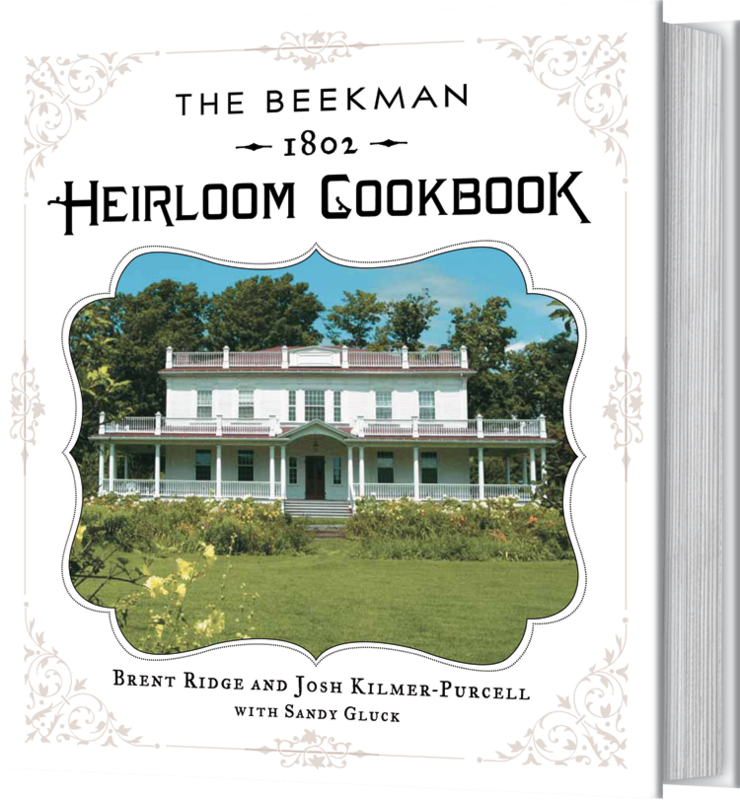 SUSANSIMONSAYS: Next Saturday, October 6th, The Book Tent, at the Hudson Farmers' Market will host The Fabulous Beekman Boys who will be signing copies of their book, "The Beekman 1802 Heirloom Cookbook" just for you. 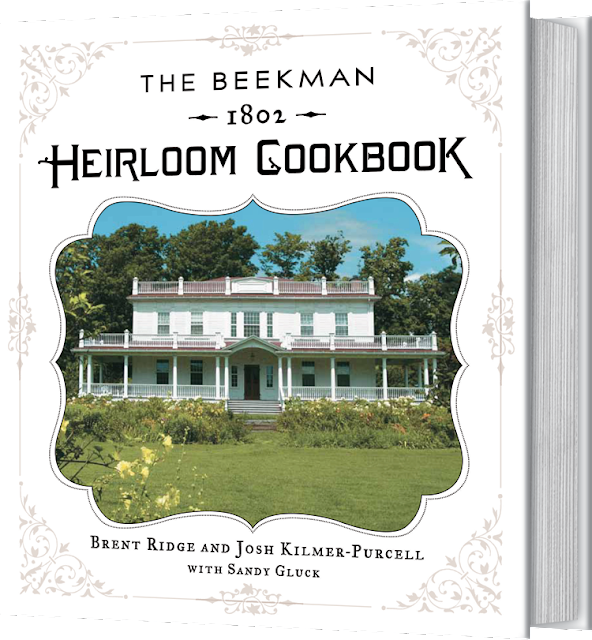 Cheese!, in the tent just next door will be selling the Beekman Boys famed goat's milk cheese produced at their farm, Beekman Farm in Sharon Springs, NY. I know that it will be a busy weekend in the Hudson Valley. You can enjoy all the events and buy fresh produce and watch the leaves turn colors right in front of you.